Video: Vega Factor Speaking Reel: Lindsay McGregor. 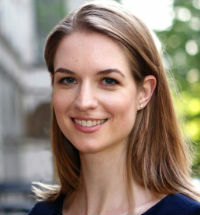 Lindsay McGregor is the co-author of New York Times bestselling book, Primed to Perform: How to Build the Highest Performing Cultures Through the Science of Total Motivation, as well as the CEO and co-founder of Vega Factor, a startup building technology to help organizations transform their cultures. McGregor received her Bachelor of Arts degree from Princeton University and an MBA from Harvard. Previously, she led projects at McKinsey & Company, working with large Fortune 500 companies, non-profits, universities and school systems. In her spare time, McGregor loves investigating and sharing great stories. Currently, she resides in New York. "The real key to creating cultures that perform is creating a culture where employees are motivated. Knowing what motivates them and how to nurture that motivation is key to high performing teams. That is the basis of Lindsay McGregor's fabulous book Primed to Perform. Her speech at our Watermark event was one of the highlights of our speaker program this year. The crowd loved her insight and practical advice to Watermark's audience of corporate executives." "Lindsay did an excellent job of speaking to the group and her content was very compelling. One of our attendees even asked if she could be our Keynote Speaker at our 2016 Annual Leadership Conference. Based on feedback from the attendees, it was clear that Lindsay successfully inspired our leaders to modify certain negative behaviors while positively reinforcing actions that are favorably linked to superior outcomes." 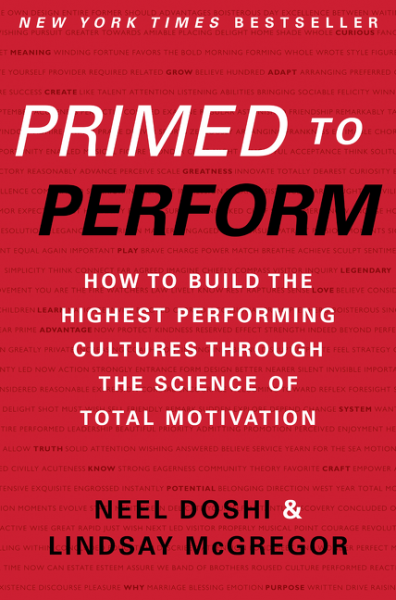 "In Primed to Perform, Neel Doshi and Lindsay McGregor have an important message that more managers need to hear and understand. Their system of understanding how teams work, and how they can be positively motivated, is thought provoking. We thoroughly enjoyed having them as part of the Talks at Google program."